Today I celebrate. 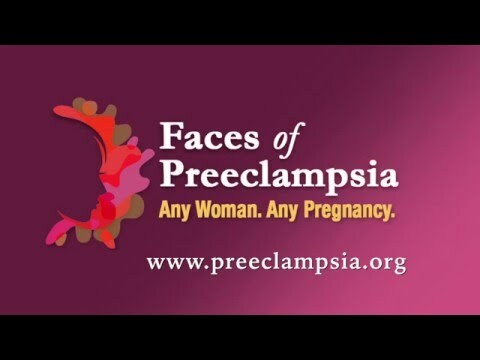 I have been preeclampsia free for one year. I haven’t been free from the experience for one year though. I endured months and months of intense PTSD from the experience. Flashes of being rushed back to the hospital by my midwife. Flashes from being admitted to emergency with dangerously high blood pressure. Waiting in a hall in the emergency room, with my days-old daughter, for over eight hours; multiple rounds of medication from an IV being given to me at 1:00 am to get my blood pressure to go down. Flashes of being readmitted multiple times, for multiple nights, and told I wasn’t allowed to be alone with my baby, in case something happened. Flashes of taking my blood pressure, multiple times a day for months after my child was born. For nearly a year, I have felt anger, resentment, and sadness for how my birth went. I am a healthy, normal weight, very physical active person. How could this happen to me? What did I do wrong? How could the hospital have released me when I wasn’t well, and then do it again, twice. Months of therapy, both group and private, finally helped me begin to come to terms with this, although still not completely accepting everything that happened. I worked up the courage to contact the hospital and was given a chance to explain my story and how it affected me, not just physically, but emotionally as well. I felt a sense of relief when medical professionals who reviewed my case admitted my care was not handled in the best way, and that significant changes have already been implemented in the hospital to prevent this from happening in the future. That does not change what happened to me, but it will change how women are cared for going forward. So, in the one-year anniversary of being off medication for preeclampsia and just over 13 months after giving birth, I celebrate. I celebrate that I am happy and healthy (both physically and mentally), and that my family is happy and healthy. How am I celebrating? I am participating in a 5k race, something I thought I would not be able to do again, and enjoying a post-race beer. I am spending time with my daughter and husband, two people I was convinced would be living without me. I am celebrating health and happiness!